What a busy Super Saturday! We don’t mean jumping around all the streaming show (which we did), we don’t mean posting all the tweets and images (which we did), but we do mean trying to keep Terry Vision out of trouble (which we didn’t). 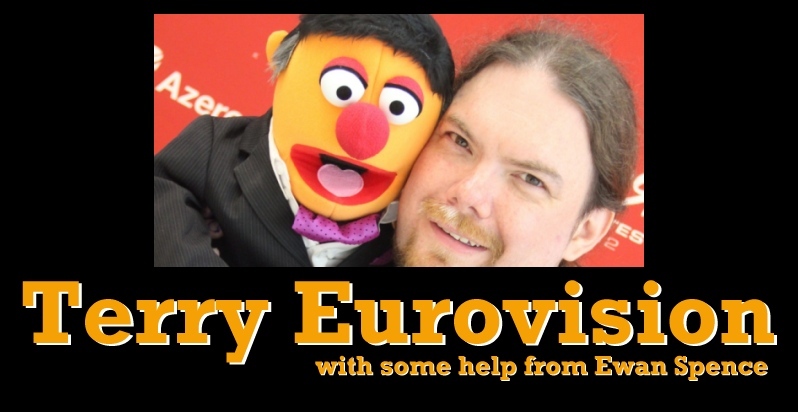 Our Senior Interview is back on the case once more for the 2014 Eurovision scene, and this weekend we sent him into arctic temperatures and prehistoric wind chill factors to go behind the scenes at YLE’s UMK contest. Softengine were the overall winners and will sing for Finland in May, but what else was going on away from the stage. And would Terry be able to avoid Krista Siegfrids? As always, a big thank you to everyone for taking time out of their schedule for Terry to interview them. Next up, Terry’s going to have a well deserved rest before flying out to Latvia for this final of Dziesma. Sarah Dawn Finer is the lady that has been stealing the hearts of Melodifestivalen and Eurovision fans for many years. Ahead of her performance tonight during the interval of Eurovision 2013, she met up with our senior interviewer Terry Vision, the man that has broken the hearts of Eurovision performers for many a year. Of course Terry has desires on another woman from the EBU who shares his feelings on the Eurovision Song Contest… a woman that Sarah is very close to. The problem with the hot headed italians, is simple. They are hot headed italians. And they don’t put up with senior interviewers such as Terry Vision after a long two weeks at the Eurovision Song Contest. The problem with Eurovision is when you wake up after a busy night partying at the EuroClub and you have to check who you’re with. Hopefully it’s not the same face that haunted you after Baku…. It was touch and go, but Lys Assia has made it to Malmö for this year’s Eurovision Song Contest. ESC Insight’s senior interviewer Terry Vision caught up with the Grand Dame of the Contest to find out how she’s doing. If you really want to make your interview with Terry Vision go quickly and smoothly, you need a way to hold Terry’s attention. Bulgaria’s Elitsa Todorova thinks she’s worked out how.